Enlist HD Foundations For Foundation Repair In Cedar Hill, TX. We’re Contractors Who Give You The Facts About Foundation Problems. 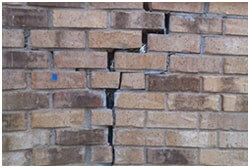 For foundation repair in Cedar Hill, TX, call a company you can rely on. Contact HD Foundations. We’re contractors that install piers, guarantee our work and provide free estimates. If you have concerns about structural foundation damage on your Cedar Hill house, we’ll provide you with the foundation repair facts. Why HD Foundation Repair In Cedar Hill? Our company eliminates concrete slab and pier and beam foundation problems. 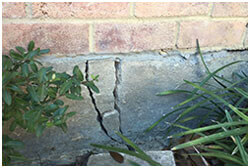 This includes foundation cracks, exterior brick fractures, foundation heaving and settlement issues. There are many reasons that pier and beam structures, as well as concrete slabs, develop issues. If foundation repair problems are affecting your Cedar Hill house, we’ll install pressed concrete foundation piers or pressed steel piers. We service Ellis county, Tarrant County and the entire DFW metroplex. HD Foundations is a local company with an A+ Better Business Bureau rating. We’re commercial and residential foundation repair contractors in Cedar Hill that have been performing house leveling services for years. We know how to effectively deal with Texas clay soils. Scorching heat and an abundance of rainfall in the Dallas, Fort Worth area creates a variety of complications in foundations. This seriously affects local property owners. In early 2016 almost 14″ of moisture accumulated in a one-month period alone. Things like that cause lots of foundation trouble. Installing interior and exterior piers. Sturdy pilings keep houses stable, eliminate sloping and foundation cracks. We use these in Cedar Hill because they make foundations level. Our pressed foundation piers work. Adjusting or installing foundation shims on structures constructed with concrete slabs or pier and beams. Sometimes French drains, surface drains or other foundation drainage systems are helpful. If your house has been affected by flooding or other water-related issues, HD Foundations can help. We install systems that stop wet crawl space damage under pier and beam structures. Our systems are effective on slabs, too. 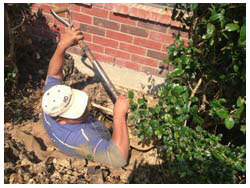 At HD Foundations in Cedar Hill, we not only provide foundation repair service, we perform crawl space repair. Need Piers? Get Free Foundation Estimates. If you have foundation problems, contact HD Foundations for a through foundation inspection. And remember: We offer a lifetime foundation warranty. To to protect your commercial property or house, schedule a Cedar Hill foundation repair estimate and evaluation online today.